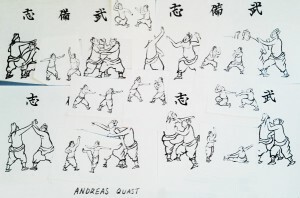 Nearly twenty years ago I received my first own fragments of the Bubishi tradition as gifts, namely copies of drawings by my friend Eddy in Belgium – who used to train at the Jundokan and others back in the days and was also already a post-hype Kobudo and Hojo-undo expert – as well as a sheet by Izumi Sensei in Japan, which I still have. See some of it pictured below. A collection from my late-1990s first Bubishi fragments from an original lineage, partly handmade in Japan. 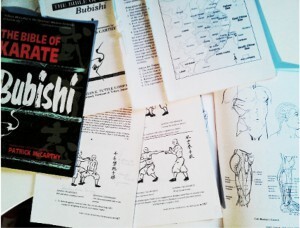 I have been working on topics of the Bubishi ever since, witness to which is my tattered 1997 copy of Patrick McCarthy’s Bubishi, which I used since it was published. My tattered 1997 version of Patrick McCarthy’s “Bubishi”. Initially I particularly studied the medical and pharmaceutical parts of the book. Naturally, I was happy to have been able to write a contribution which will be featured in the upcoming new edition of Patrick McCarthy’s translation and commentary of the Bubishi, to be published by specialist Tuttle end of May 2016. This is THE original and most (sole?) authentic work on the Bubishi published in the English language, or Western language for that matter. Moreover, it is second to none even if counting in ALL Japanese works that have been published on the subject. The new edition will be on sale May 31, 2016 and the work can be preordered via Tuttle Publishing. Copy of a Bubishi drawing made by an exceptional Japanese Bugeisha. 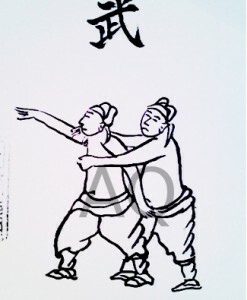 His drawings, made on hand made paper of his own poduction, are better than in most originals. Ecxept the translation of and commentary about the Bubishi itself by Patrick McCarthy (IRKRS), the new edition features some new contributions by an eclectic mix of international contributors from different fields of martial arts and research expertise, namely Jesse Enkamp (Karate by Jesse), Evan Pantazi (Kyushu-jutsu, Cezar Borkowski (Okinawa Karate&Kobudo, Ryukyu no Kaze) and Joe Swift (Tokyo Mushinkan), and me (Ryukyu Bugei, Bunbu Forschungskreis). I was also delighted to recently come to learn that within the lineage I began to study to vast field of “Karate” over here there is now a (sole?) direct-lineage edition of the Bubishi in existence in Germany. I know how hard, well, and enthusiastic this group is still active since Fritz Sensei went to Japan to stay and train for more than a decade around 60 years ago. This being said, what is a cup, what is a medal, what is a certificate? I tend to forget that such things even exist. 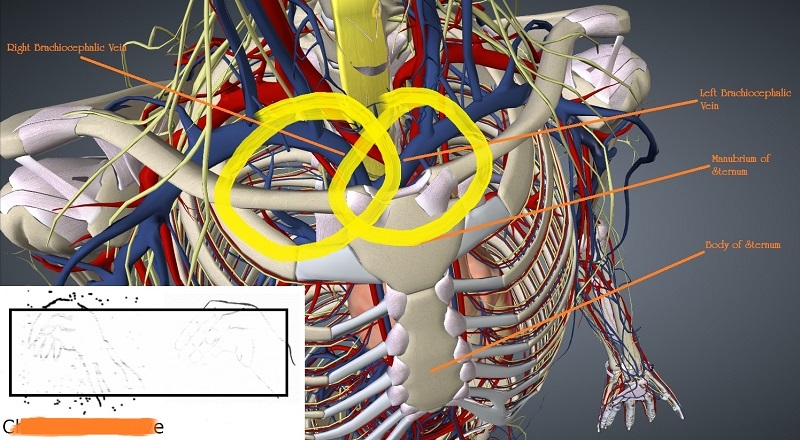 Excerpt from my studies on the anatomical and medical background background of a Bubishi-technique. This entry was posted in Book Reviews, Unknown Ryukyu and tagged Cezar Borkowski, Evan Pantazi, Jesse Enkamp, Joe Swift, Koryu Uchinadi, Patrick McCarthy. Bookmark the permalink.